I live in Central Pennsylvania, and the Dover trial (Kitzmiller v. Dover Area School District) was tried in Harrisburg, the Capital of Pennsylvania, in late 2005. It was a major news event, and I was particularly interested in it. I followed the daily testimony in the local papers, and on the ACLU blog, and other blogs. I even attended one day of trial. So, it was natural that I would want to read this book. Of course, I honestly wear my bias on my sleeve. As an attorney, I felt before the trial began that the actions of the board were unconstitutional under existing law, as violative of the 1st Amendment proscribing the establishment of religion. The principal authors of the new policy being imposed on the students seemed like ignorant buffoons, if the press at the time was honestly reporting their public actions and statements. I could see no way that the requirement to insert Intelligent Design as an alternative scientific explanation for the origin of species could possibly be right. I was concerned, however, that if the case went beyond the local Federal District Court (which, win or lose, seemed inevitable) the US Supreme Court, with Justice Scalia leading the charge, just might, stupidly, uphold the policy and allow it. So, much was at stake. Reading Edward Humes’ book on the trial was like visiting an old friend. All of what I already knew was brought into focus, and explained in the context of the greater cultural battle going on across America at the time. He relates the brouhaha caused by the Kansas science standards being watered down by fundamentalist Christians elected to the state Board of Education, and the hearings on that prior to the Dover trial. 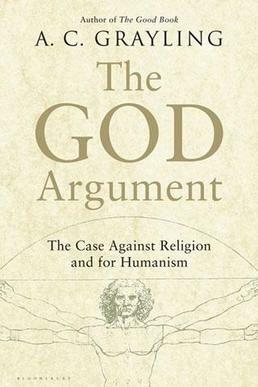 He thoroughly describes the historical background that eventually led to the Supreme Court in 1987 ruling, with finality, that Creationism was not a proper subject for science classes in the public schools. In short, he very nicely sets the stage to describe what was being called the Scopes Trial II. The members of the board could not describe exactly what ID was, but they voted to tell the students that they should examine it as an alternative scientific theory to evolution, because evolution had “gaps”. The book they placed in the library and directed the students to refer to, Of Pandas and People, was originally written prior to 1987. After the Supreme Court decision to ban Creationism, the authors and publisher simply did a word processor cut and paste, replacing the term “creationism” with “intelligent design”. The books were paid for by donations from the church members of the Board President, who then lied in his deposition (i.e.committed perjury) about where the money came from. The Board members further lied under oath about using the term “creationism” when discussing their desire to teach an alternative theory to evolution at the various board meetings, even though the term was reported in the newspapers, and countless witnesses heard it. 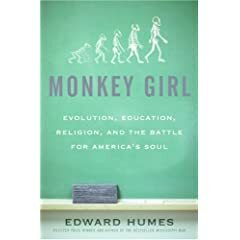 Humes is a Pulitzer Prize winning author who sat through the entire trial, interviewed the principal parties to the case, including Judge Jones himself, and clearly did his research. While he does seems to hold the same bias I do, his bias, like mine, is based on an unerring belief that science is the best way to understanding life and reality, and should not be watered down because it conflicts with religious beliefs, which are based on no or little evidence. Religion should stay in the churches, in the homes, and in the minds of the believers. It should not be imposed on others as if it is the sole source of truth. The sheer inanity (as Judge Jones called it) of the attempt to teach ID as science should make every American sit up and take notice of what a hold religion has on the hearts, minds, and even balls of this country. 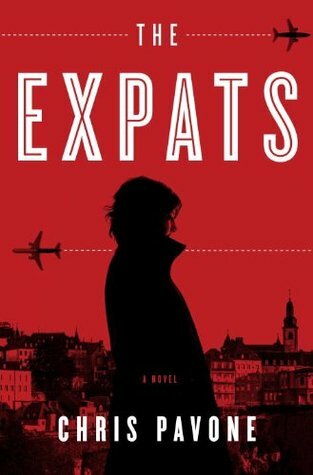 If you share my interest, and I presume that many readers of this blog do, then you’ll love this book. It is very well written, with little technical or legal jargon, and with the layman in mind. That is not a negative assessment, because even people like myself, with a keen interest and background in the subject, can enjoy a retelling of the story of how religion met a decisive blow in the Federal Court in Harrisburg. I can also recommend the 139 page opinion of Judge Jones, once you’ve read this book. Now, that is something that should be taught in public schools. This entry was posted in Books, Constitution, Creationism, Intelligent Design, Reading, Science. Bookmark the permalink. ← Why Didn’t Jesus Write? I agree with you wholeheartedly that Judge Jones’s opinion should be taught in public schools. It’s both logical and passionate, so eloquent that it’s almost literature. I have read the Judge’s findings and agree there is a lot of useful material in this case – on the scientific issues as much as the legal ones. There is a real need for the material to be more publicly available so the book is timely. I understand that NOVA is also producing a TV documentary on the case. I’m glad to see you wrote this review. I actually had targeted the book for future reading based on your “Current Reading” list on the side-bar. The review makes me more certain that I will read it. What I would say is our “bias” is a scientifically based one. This means that is evolution, as understood in the modern synthesis, were proven wrong, we would ACCEPT that it is wrong and move on to the next. This is in direct opposition to people of faith who are never proven wrong, because there is no proof to begin with and thus NEVER change their position. And they call us rigid! I should hasten to add that if the current understanding of evolution WERE proven wrong, it would be because of a better understanding of evolution. by Mr. Rothschild. The first bit of it is the conclusion of the direct examination by Mr. Muise, but it gets into the cross promptly. You might want to print it out and read it, as it went on for several days as I recall. Important to remember that Jones is not some “liberal” judge also! I think that’s what makes it so devastating to the other side. If you read the book, you’ll find that the author has nothing but high praise for Eric Rothshild’s cross examination ability. In fact, I believe even the Judge was awed when he was finished by Behe. The book’s at the office, but I’m going to look up the quote, and edit this comment with it. It’s interesting to note that the proponents of ID theory themselves thought that the school shouldn’t be teaching ID theory, per se, but simply educate the students as to the current problems with neo-darwinian evolutionary theory. In that they, they too though the school was in the wrong. Also, if interested in a good history of the real Scopes trial, check out the award winning “Summer for the Gods” – quite an interesting read.